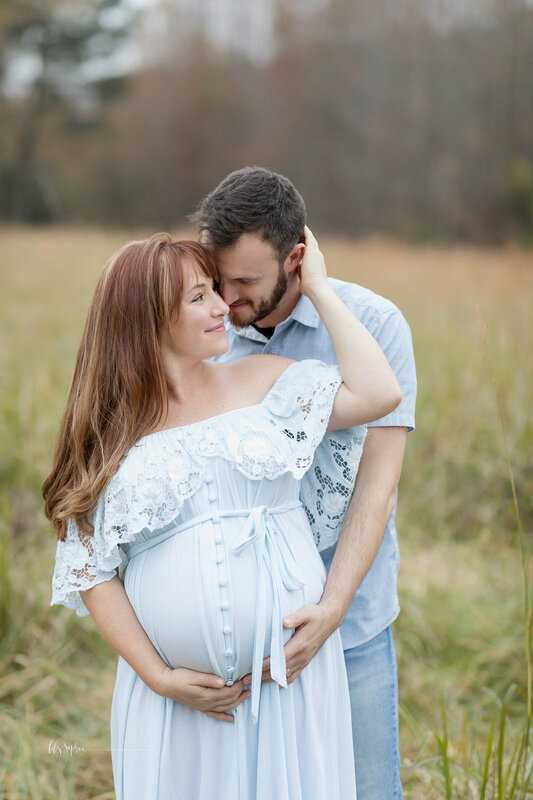 Josh contacted the studio to ask about scheduling a last minute maternity session for his wife, Cassie. Believe it or not, we have a lot of dads be the ones to contact us. 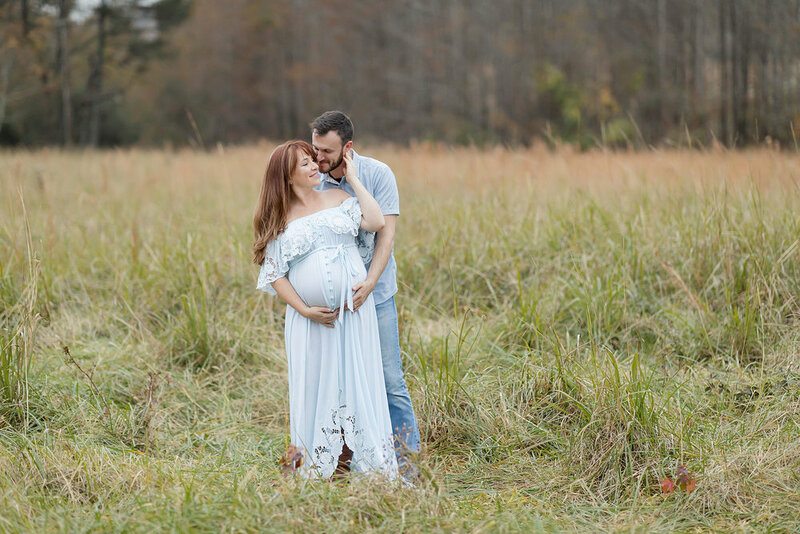 After looking at the locations, Josh and Cassie decided they loved the field location the most because they enjoy being outdoors and it’s similar to where they live near Peachtree City with wide open spaces. We also went ahead and scheduled a time for them to come to the studio for a maternity fitting. They both had interesting work schedules that involved commuting to different cities from where they lived, so we scheduled for an evening after work that accommodated their schedule. We have limited weeknight availability for fittings, and if you’re in the medical field or another industry with odd hours - we’ll figure out a time that works for you! The evening of their maternity fitting, they came to the studio and we discussed Cassie’s style preferences. Both of them were so much fun to talk to, and I really enjoyed getting to know them. We looked through the wardrobe, and Cassie tried on quite a few options! She ultimately chose a long sleeved cream dress and a light blue off the shoulder dress with fun lace trim and buttons. The buttons can be unbuttoned during sessions for bare belly images if that’s something that you want to incorporate in your images. We then discussed ideas of what Josh could wear from his closet that would work well with Cassie’s choices but also stay true to his personality and style preferences. We parted ways with a goodbye hug and headed to our homes. A couple of weeks later, I met Josh and Cassie at the field location. It was a teensy bit chilly, but not too bad. We had been watching the weather for a couple of days and made the call the day of the session since it was literally a coin toss as to whether it would rain. The sky was overcast, but as I’ve mentioned many times on the blog, it’s not a problem and is beautiful in its own right! Since this was a winter session, it lent well to the overall feel of winter too, and the tones looked gorgeous with their wardrobe choices. Winners all around! Cassie was a bit nervous going in, but as soon as Josh got snuggled up to her, she relaxed a lot. He’s a funny guy, and adores her - and she him. I reassured her that I would make sure she looked beautiful and coached her through the session with the best ways to stand and place her hands. My direction is straightforward and clear, so you’ll never be left wondering what you’re supposed to do. Many couples are surprised when I ask them to do things they naturally do on their own - there are just a few tweaks made for the most flattering images! I want your images to be a reflection of who you are as individuals and as a couple. Every couple has their own unique dynamic: the one common thread that all of my clients have is that they deeply love each other. Sometimes it takes a little work on my part to get couples to show that love, but once they open up the magic starts! 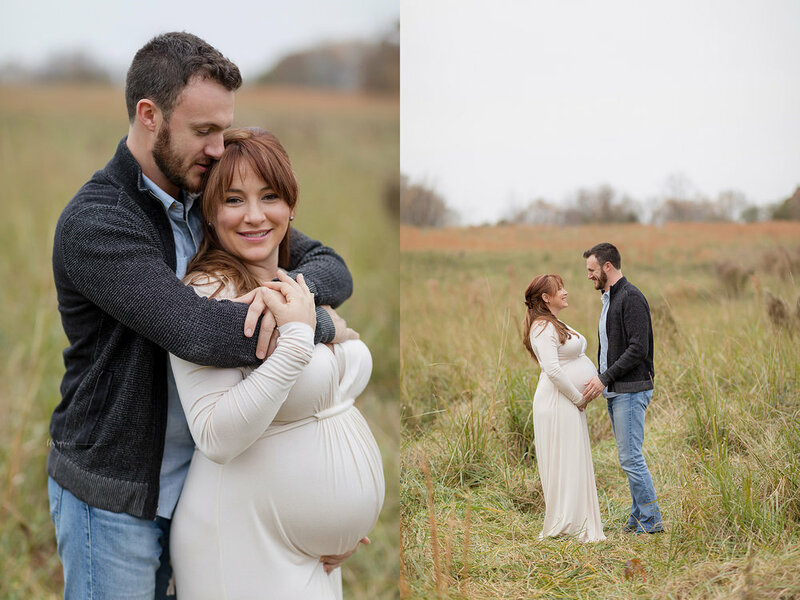 Here are a few of my favorites from Josh & Cassie’s session!